If you’ve ever stayed up all night trying to figure out how to pitch a nylon tent in the middle of nowhere, then you know camping isn’t always as fun or as glamorous as it sometimes looks in the Instagram photos. Enter Hipcamp, the San Francisco-based start-up that lets you select a campsite that’s as rugged or as glamorous as you want it to be — from open-air farms and nature preserves to fully-enclosed yurts and airstream trailers — without having to do any of the actual work of roughing it. Some sites even come with platform beds and catered breakfast from the farm, so you can get a taste of the outdoors without having to fully commit to it. Here are some of the most enchanting places to stay near Los Angeles. This camping site probably isn’t what you might imagine when you think of a penthouse, but there’s nothing rustic about the sleeping arrangement. 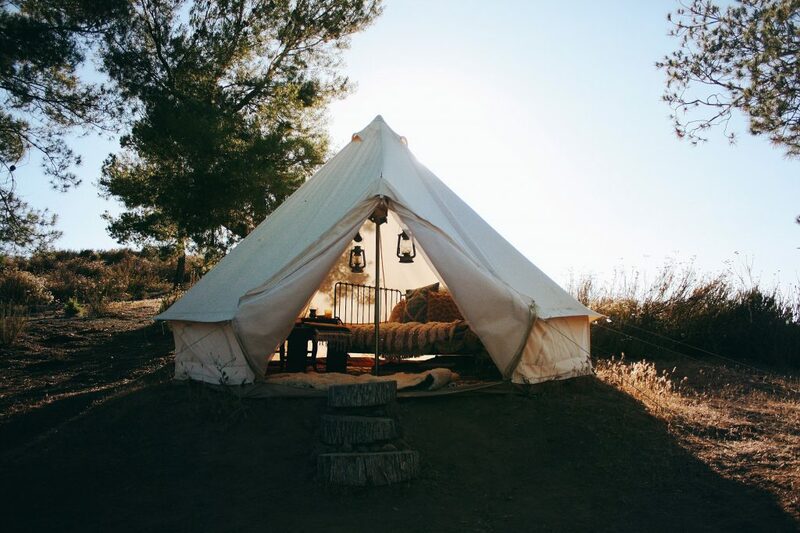 The canvas tent comes stocked with a daybed and sleeping pad that fits up to four people — the bedding is found in a nearby antique chest. The site itself is totally secluded, overlooking ten acres of private land. It’s also close to fishing and boating at nearby Lake Skinner and, of course, Temecula’s many wineries. 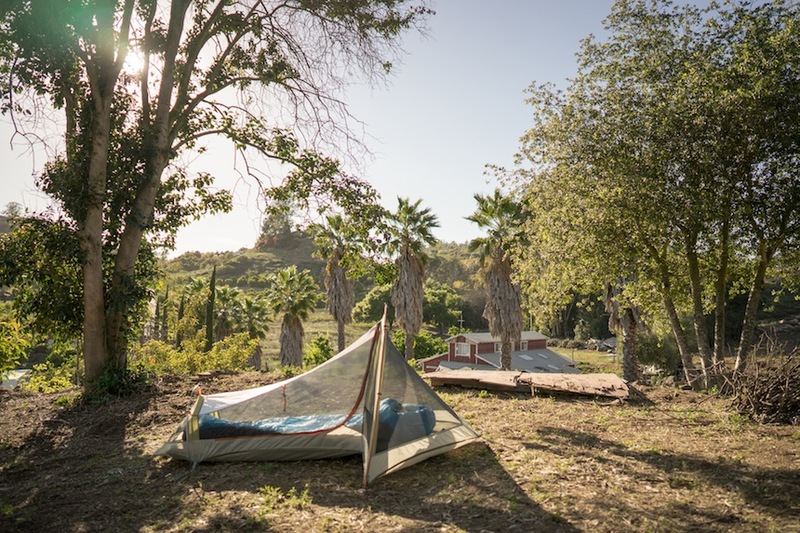 Campers stay in a gorgeous Lotus tent at this Topanga campsite, equipped with all the amenities for a retreat not too far from L.A. Relax in the hilltop sauna or head out for a day of hiking in the adjacent Red Rock Canyon Park. If you’re looking to get real outdoorsy, consult the on-site health coach for a weekend of meal cleanses and “grounding” hikes. 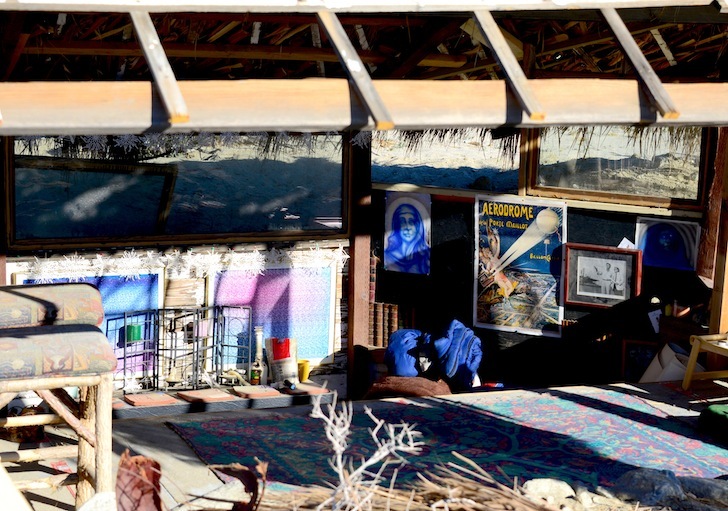 Billed as a “hippie paradise,” this 5-acre tiki hut in the Coachella Valley is fairly bare bones, but there’s enough sleeping areas to comfortably fit at least six people, and larger groups are welcome to set up a tent by the fire ring for extra accommodations. The amenities include a wooden playground and elevated “chill areas,” and the campground is just a stone’s throw from a natural hot spring. The aptly named Enchanting Blueberry Farm has several campsites available, from an isolated solo spot to a group area that borders the banana crops. Campers looking for adventure are less than an hour from Torrey Pines State Beach, home to several hiking trails with killer ocean views. The farm is also close to the Myrtle Creek Botanical Gardens and Nursery, a bird sanctuary that doubles as a great lunch spot. 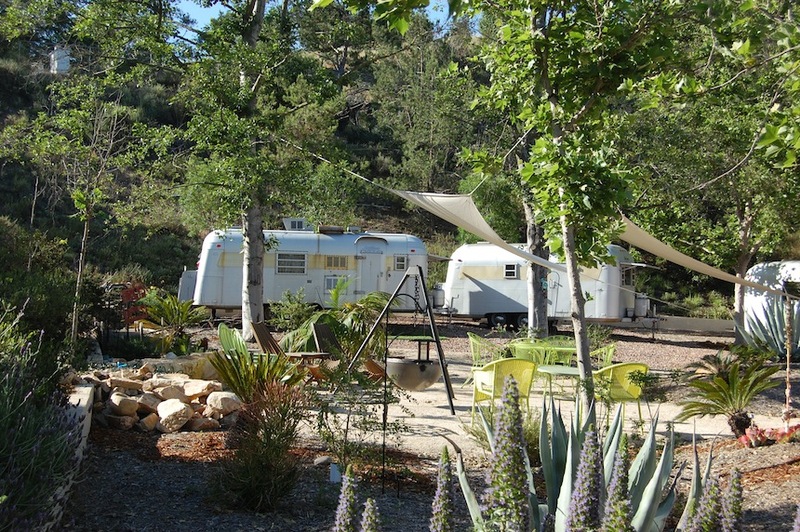 Stay in original 1960’s era Silver Streak travel trailers outfitted with some modern amenities: a full kitchen, heated showers and flush septic toilets. 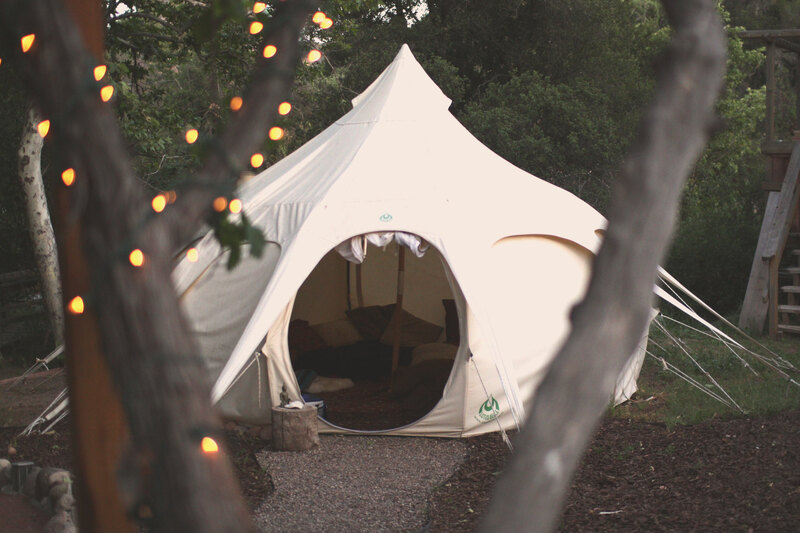 The campsite is only a couple miles from downtown Temecula, and it’s framed by vineyards. A communal camping area, studded with drought-resistant plants, is the perfect spot for late night s’mores. 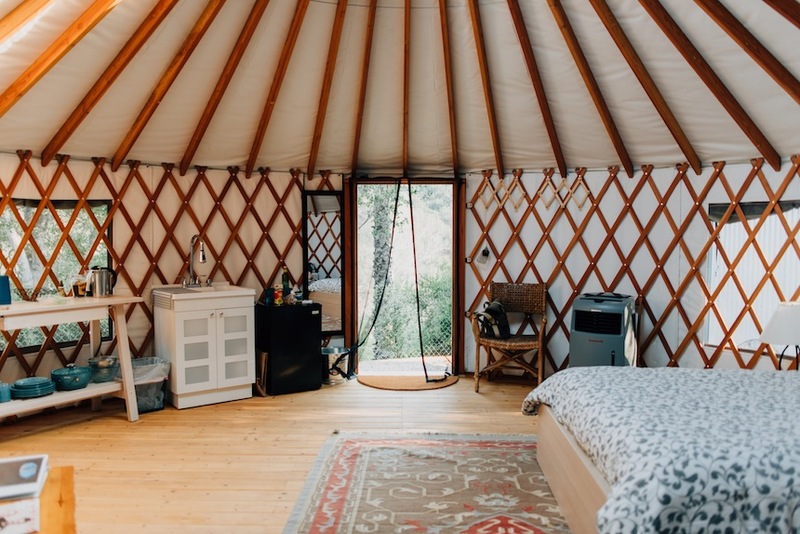 There may be no better spot for a romantic weekend getaway than this fully furnished hilltop yurt in Ojai. Ensconced in a privacy fence, the area also includes an outdoor grill, tire swing, bathhouse, and fire pit. The hosts provide a basket of organic, farm-grown produce, and a weekly farmers market is close. The popular Ojai bike path is just a half-mile away, and hiking trails surrounds the area. Angelenos itching for a taste of farm life can’t do better than this working goat dairy, which sprawls over 70 private acres in the Angeles National Forest (the fully working ranch even offers milking lessons for curious campers). Have ducklings for your neighbors at the lakeside campsite, or hike into the Pinon Pine Forest for a more remote experience. Reserve in advance to have ranch meals delivered tent side on the weekends—the menu often includes fresh goat milk and chèvre, pickled yucca flowers and fresh roasted coffee flavored with piñon pine syrup. 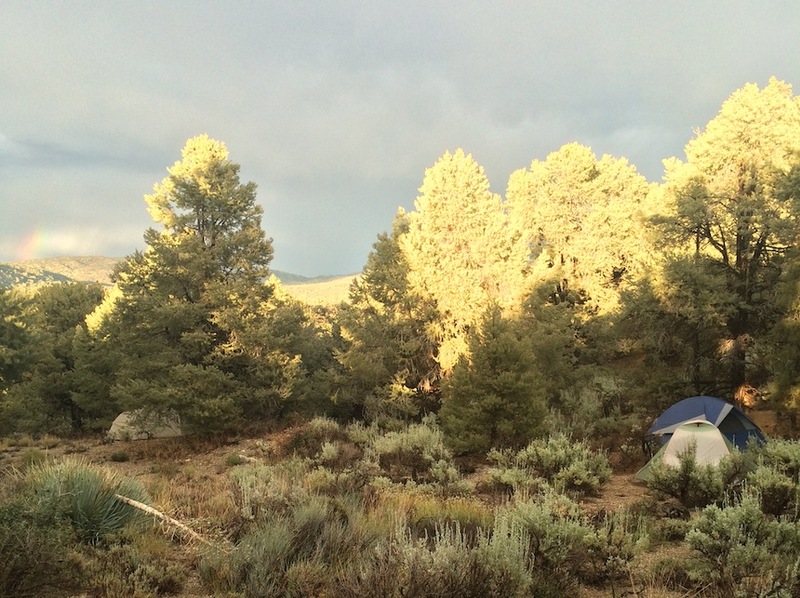 Not all camping has to happen miles outside of town. 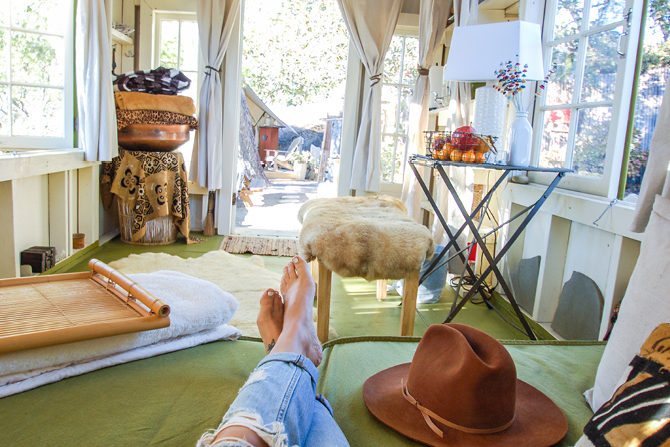 This spot is perched on a Topanga Canyon mountaintop and will make you feel like you’re living in an Anthropologie catalog. The campsite includes everything from a “gypsy” tent and tin roof cottage to an honest-to-god outdoor clawfoot tub. At $340 at night it doesn’t exactly come cheap, but the experience is a truly unique luxury.